Brows can be quite a challenge to perfect and the way they look, has a huge impact on your face in general. Here are my tips on how to shape and fill in your brows, to fit your face shape. This is the most important part of having good looking brows. Most of us have experienced having very thin and short looking brows. Just visit an older post I wrote, to see how my brows once looked, yikes! My advice has always been, to NOT over pluck your brows, but let them grow into their natural shape and when you've got that, then start taming them, by plucking the hairs that sit outside of the main part of your brows. There are two things to keep in mind when plucking your eyebrows. #1 If you line up a pencil from the side of your nose, to the end corner of your eye, that's where your brows should stop. #2 If you line up a pencil from the side of your nose, to the middle of your pupil, that's where your arch should be. Where your brows should end in the front, differs a lot from person to person. Again I would advise you, to stick with where they naturally end, but pluck the hairs outside of the main brow part and in between your brows, no unibrows wanted! Then I use some scissors to trim the length of the hairs in the front part of my brows. I brush them up with a spooley and cut, following the top line of my eyebrows. I finish up with a eyebrow razor, to remove the small fuzzy hairs your tweezer can't pull out. Only do this above your brows and in between. 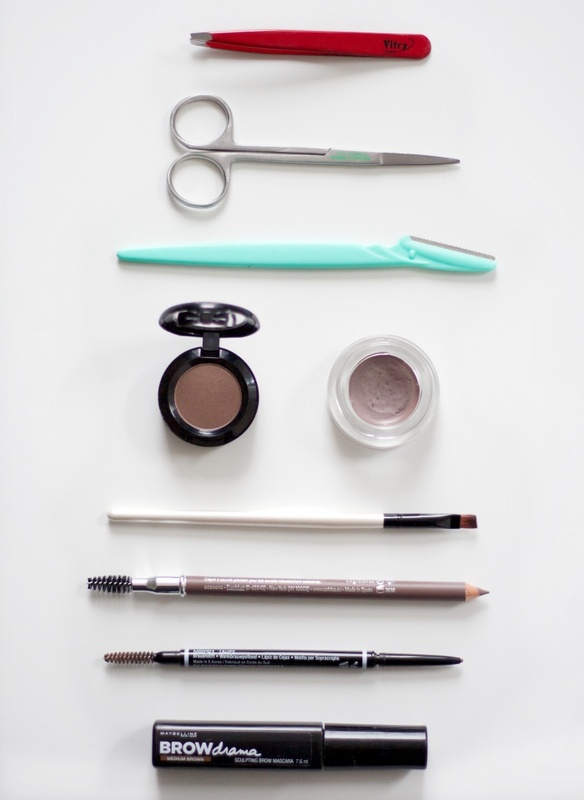 There are several ways you can fill in your eyebrows. My personal favorite is using an eyebrow pencil, because it's fast, you only need that one item and you can't easily create a perfect shape. 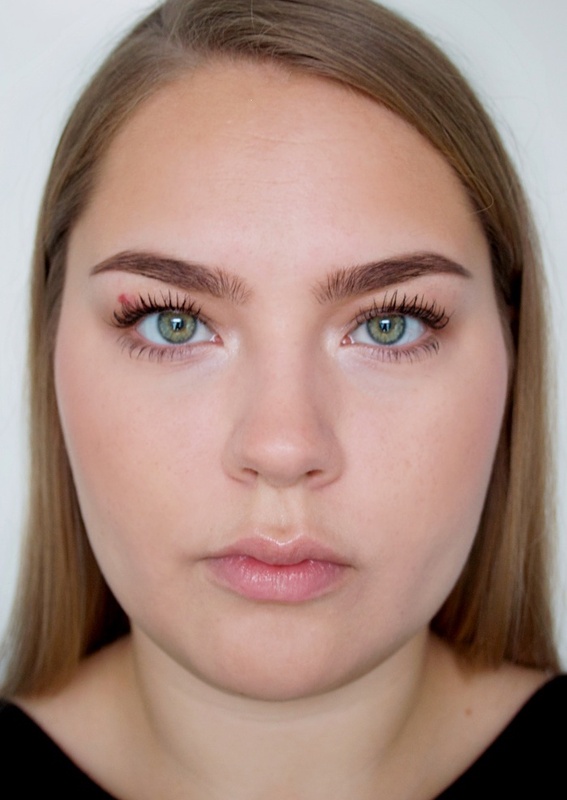 If you are just starting out with filling in your eyebrows, an eyebrow mascara might be the better choice, because it tames your brows, while still looking subtle. Another way, if you're just starting out, is by using an eyeshadow close to your eyebrow color. 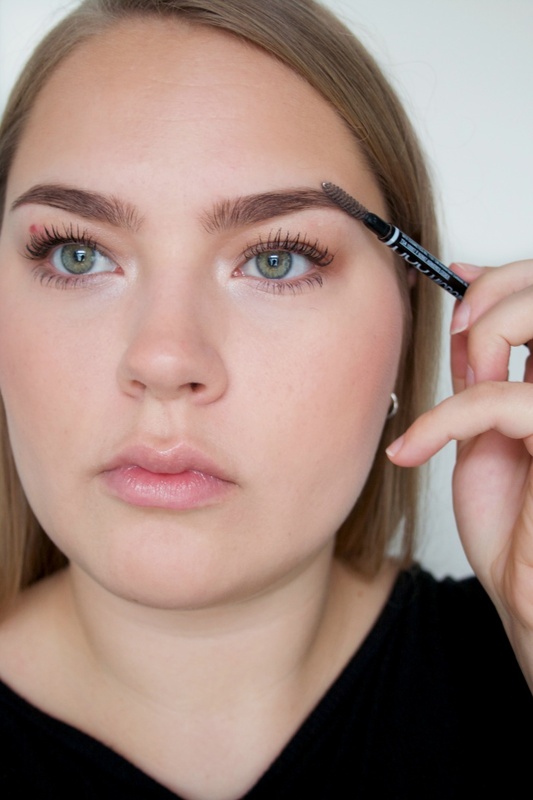 For this method, you'll also need an angled brow brush, to apply the product to your eyebrows. What I like about this method, is that it gives your brows a soft, filled in look, without looking too sharp. If you on the other hand like sharp, extremely perfect looking eyebrows, an eyebrow gel is your perfect choice. Again, you need to use a angled brush with this method, to apply the product. My technique when filling in my eyebrows, is to first fill in the "tail" or the end of your eyebrows, making short little strokes with the product you're using. This creates hair looking strokes instead of long lines. Next fill in the arch of your brows, the arch is the point of your brows that's the highest, where it goes up to a point or soft curve. Again use short strokes to fill this in. Lastly move on to the front of your brows, here you have to be a little more careful, because it has to be light and soft here, to look natural. Use short strokes, pressing lighter on the skin, than throughout the rest of the brow, until you are satisfied with the color. Now use a spooley brush to brush out your eyebrows, this also blends the brow product into your brows and makes everything look more natural.